A man armed with a knife has attacked pedestrians in the Russian city of Surgut, injuring seven. 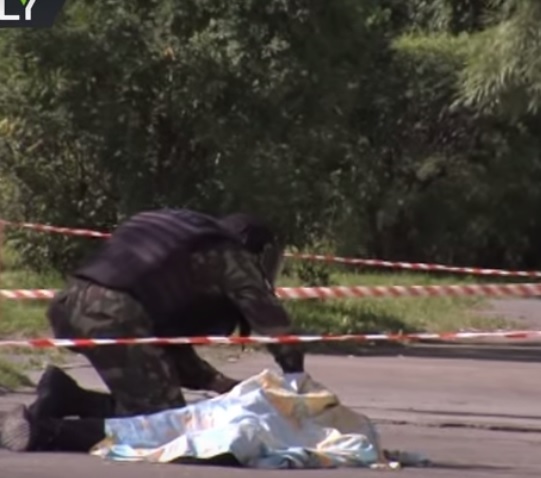 Police killed the assailant, the local branch of the Investigative Committee reported. Yesterday Finland became the latest European country to suffer a terrorist attack as two people were killed and at least 6 others injured after a stabbing incident in the south-western city of Turku. According to reports Police shot the attacker in the leg and arrested him, he was known to Police.Seven people have been wounded in a knife attack in the Russian city of Surgut, security sources say. The man, who apparently stabbed passers-by on the street at random, was shot dead by police. The injured have been taken to hospital, where two are in a critical condition, the state-owned RIA Novosti news agency reports. The Islamic State militant group (IS) said on its official news channel that it was behind the attack. Russia's Investigations Committee said it had identified the attacker and was checking his psychological history. The attacker was a local resident born in 1994, it said. A spokeswoman for the committee told Reuters news agency she would not comment on the possibility of terrorist motives, calling the attack "attempted murder". The attack happened at about 11:20 local time (06:20 GMT). An earlier statement said eight people had been wounded, but that was later revised to seven.